Alesis music equipment has come out with some very solid studio monitors — their Elevate 6 series. 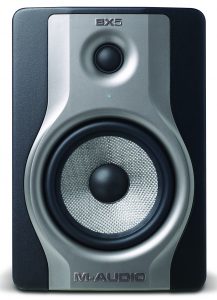 This is an upgrade from their original Elevate 5 studio monitors which received many positive reviews around the net. 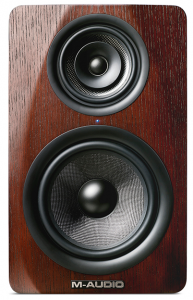 In the 6 series you are given the choice between either the active or passive studio monitor. The main difference between the two is the obvious passive vs. active comparison in which the active have a built-in amplifier, (we typically recommend for a studio, regardless of home or professional, unless you want to purchase your own separate amplifier that matches up with it’s compliance). 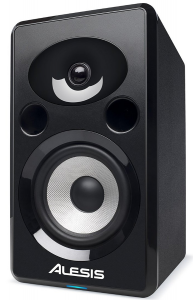 This one made our list in our top 10 best studio monitor speakers article. Let’s see more information. This is the big bertha of M-Audio‘s three-way active studio monitor speakers. The M3-8 are beasts, with crazy tech and specs that truely justify it’s $350 per speaker price. We already saw the capabilities in our M-Audio M3-6 studio monitor review, but if you have the dough for this, you will not be disappointed in terms of speaker power and overall accuracy with every possible frequency of a song. Some argue that mixes stand out when the mids are genuinely tweaked, which are stated to be the centerpeice of the entire song (the vocals). Let’s check this bad boy out. I will be honest that I was skeptical at first of a studio monitor priced at nearly 5 bills a pair. The wood finish did however catch my eye, and the brand logo of M-Audio music gear always seems to get me going (whether that’s because of conditioning or I’m just a huge fan, probably both!). However, M-Audio never disappoints me when it comes to the build and overall quality of their products, pparticularlystudio monitors as they’re pretty infamous for reference-type of gear. Here we have the M-Audio M3-6 three-way active studio monitor speaker, and we want to take a look at the specs on this one. 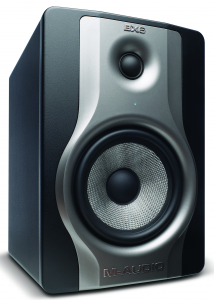 M-Audio’s BX series of studio monitor speakers are very attractive. This particular model, the BX5 Carbon studio monitor, is the lowest speaker available but still packs a very powerful punch. 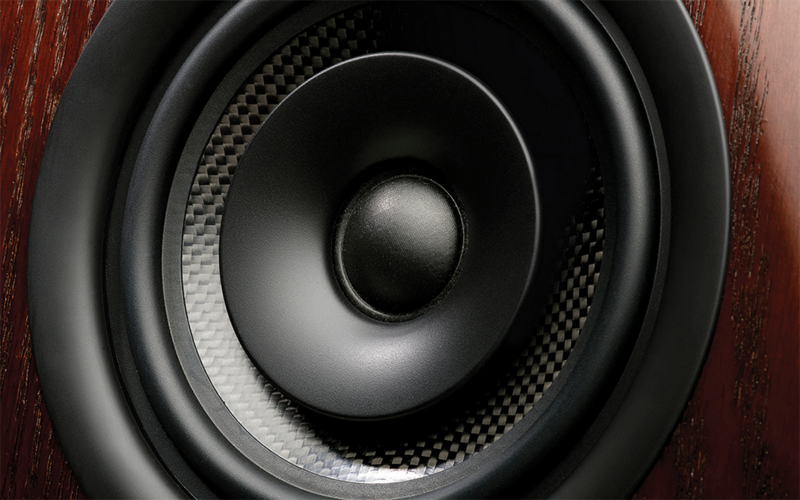 As we saw in both the review of the BX6 Carbon speaker and BX8 studio monitor, the overall build, stability, sound quality and frequency accuracy is deemed very effective with these. The make and size of the woofer and tweeter may not be as large as the higher versions, but if you’re looking to save some money with your budget yet still add some great audio quality to your home or professional studio, we recommend going with this one. Let’s take a look at the main features. Up next we have the M-Audio BX6 Carbon, the middle model of M-Audio’s new studio monitor speakers. We saw the powerful tech and features in our review of the BX8 Carbon monitor, but if you’re looking for a step down to save a few bucks, the BX6 can be nearly as powerful for your home or professional studio. With a very accurate flat frequency response and decent sized woofer and tweeter, the overall build and quality of this studio monitor is definitely worth buying. Let’s check out the main specs and what we think of it all.